When looking for a professional real estate inspector there are many choices and it is a monumental task finding the right one to meet your needs. Welch Engineering, L.L.C is the only home inspection company in all of Georgia to be certified and licensed in all areas of home inspection. We are licensed in plumbing, electrical, engineering and HVAC. We are the most qualified and most professional real estate inspection company of all of Georgia. We are members of the American Society of Home Inspectors, the International Code Council, and the Georgia Society of Professional Engineers. We abide by the code of ethics as provided by the National Society of Professional Engineers and ASHI. 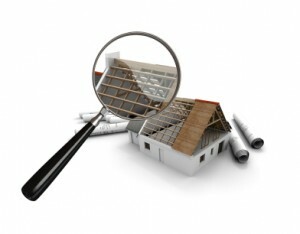 A home inspection is an objective examination of the condition of the visible and accessible components of a home. Home buyers now entering the marketplace view inspections as a way to gain valuable information about the biggest purchase of their lifetime. It helps them to determine whether there are any major defects or systems inadequacies before they buy and it minimizes any unpleasant surprises or significant financial burdens later on. Home inspections are not intended to point out every small problem or defect in a home. Minor or cosmetic flaws, for example, should be apparent without the aid of a professional. The inspection also should not be considered as an appraisal, a municipal code inspection, or a guarantee of any kind. An important aspect of home inspections is that they also highlight the positive features of a home. In fact, many of the home inspector’s observations or recommendations help to dispel home buyer anxieties, and provide useful home repair and maintenance suggestions.